The hall says the record-breaker used swimming to promote a greater cause and inspire others. 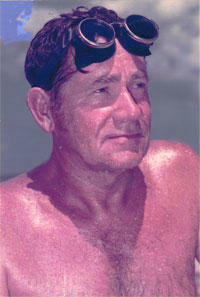 In 1978, Poenisch launched a Cuba-to-Florida swim after Cuban leader Fidel Castro personally saw him off on his "Swim for Peace." Poenisch said he completed a swim of nearly 130 miles within two days, but the feat wasn't universally accepted because of what some considered insufficient independent documentation and other issues. He died in the year 2000. Induction ceremonies will be held on the weekend of August 25 in Fort Lauderdale, Florida.